ASA (American Sociological Association) style is commonly used in Sociology. 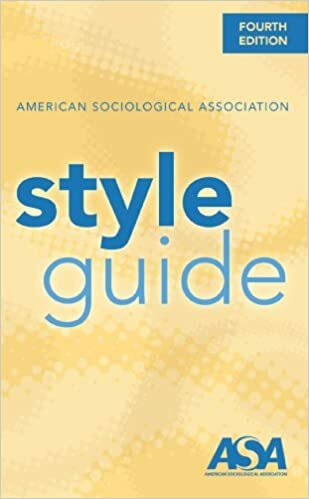 The official reference book to ASA style. A useful .pdf reference sheet from the American Sociological Association. The guides published by Purdue's Online Writing Lab are excellent and straightforward. A helpful ASA citation guide that breaks citations down by type. ASA also provides examples.